We were working and unable to attend this year’s Hannes Schneider Meister Cup Race held at a Cranmore Mountain in North Conway, but we did offer a $75 gift certificate to a raffle whose proceeds would benefit the New England Ski Museum. For those interested in skiing, this is quite the place detailing ski history going back some eight thousand years. 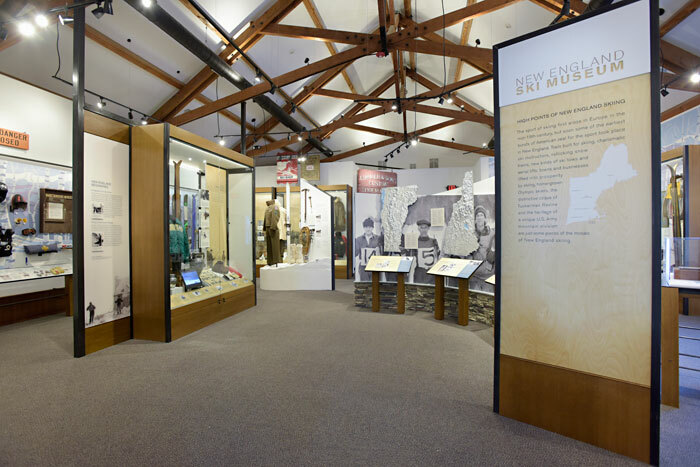 Our reason for posting this today is that yesterday marked our first chance to visit the newest Eastern Slope Branch of the museum, which opened its doors in February, located next to the Community Center right in the North Conway Village. What a small but packed exhibit showing everything from an old “Snurfer” to what appear to be whalebone skis, right up to the advent of shaped skis which help skiers “carve” the snow. Admission is free; donations accepted and encouraged. Check it out next time you’re in town or visiting the area. If you love skiing, you’ll love this place. 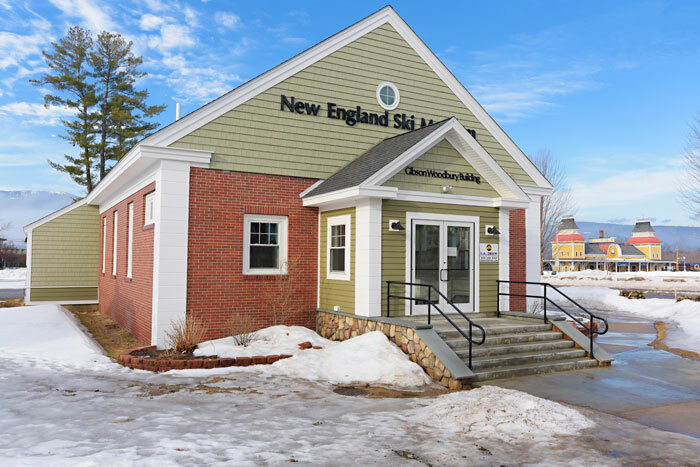 The newest branch located in North Conway. A thorough and pleasing interactive exhibition… and free to visit.